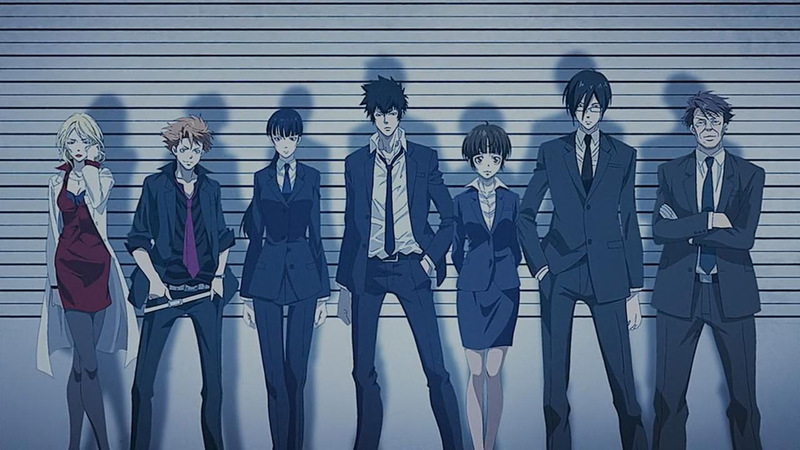 Psycho-Pass. Funimation, 2013. Streaming via Netflix. –Saki Watanabe, From the New World. From the New World. Sentai Filmworks, 2014. Blu Ray Collections 1 & 2. 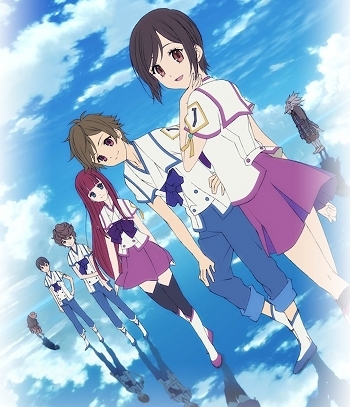 I first came across this anime in 2012. Based on a novel by Yusuke Kishi, it blew me out of the water as soon as I started. I was incredibly happy to find out there was a dub forthcoming; the blu ray quality is a treat to behold. However, this is NOT a show for kids. If I had to categorize it, it’d probably be science-fiction/horror. Sorry I haven’t posted any reviews lately. I’ve actually been tackling two pretty heavy stories – Fate/Zero (both the light novels and anime) and Blood+ (another anime). Blood+ is at least 50 episodes, so it’s been taking a while longer than I envisioned originally. Manga coming up are Romeo x Juliet and Genshiken. I’ve wanted to read and review 2 other series I own – Ooku and A Bride’s Story, but they’re not completed yet. I’m interested to see if anyone who reads this believes I should only review completed series/works, or if WIP are game. If WIP is okay, my analyzing could be revisited at a later date. If not, I feel like it’d be more complete that way. any thoughts from the peanut gallery? Second order of business: I’d like to put out an open call for someone who’d be willing to do some podcasting with me. This person should have somewhat of a background/knowledge of gender studies – bonus points if you’re into fantasy/sf/anime. This will be the secondary part of my NSU contribution that I want to get off the ground. Interested parties should email me at shutupsaber@gmail.com. I would be doing most of the legwork/research, unless you’d be willing to. I have fairly exacting standards when it comes to viewing anime; needless to say, I consider this show to be one of the few good exports from Japan in recent years. Between writing, themes, characterization, and subverting standard tropes, Madoka is a fine example of what can be done with a simple concept and turning it on its head. Sadly, the series is pricey to get ahold of (to own) in America; I lucked out with a good ebay auction. However, to view it, there are several streaming services (Crunchyroll comes to mind). In examining the anime through the lens of gender studies/roles, however, I was fairly… disturbed and disappointed by some of what I found. While it is an excellent show in terms of feminine empowerment, it presents a mostly negative front for masculine identity and role. Fortunately, I’m almost done with Pokemon X (while the rest of the internet plays it on Twitch) and about to start Final Fantasy XIII: Lightning Returns. X/X2 Special Edition comes in next month too. I was hoping I could do my project with reviews here weekly but it looks like it’ll be more realistic to do it as a bi-weekly thing. Next thing coming is an anime, so we’ll see. I’m trying to rotate media to keep it better, and also getting a ton of literature from the library to help me put/keep the writing in the context of the media. Yay interlibrary loans! The Bioshock games have remained one of my favorite series for several reasons; notably their intelligent themes, their nods to literary giants, as well as their unraveling of typical/over used tropes. Infinite is no different, circumventing the original ‘revelations’ of the original and its sequel. Infinite also plays around immensely with gender roles and expectations; my original expectations for the review game were very much turned on their head (in a good way).